The Boiler is a modern and diverse online literary magazine with poetry, short fiction, and nonfiction from an all-inclusive lineup of writers and has been publishing quarterly since 2011. Their issues are available for free and can be read online or downloaded in PDF. For this review, I read their Fall XXI issue, which includes a cover displaying a lovely photograph entitled Decayed Aspen Leaf by Shaun Fisher. The cover is the only artwork included in their issues. When I ask my sweetheart to fill my chest with light, he shifts his weight from one leg to the other & cups a bulb buried in the furthest lamp of our bedroom. His hands cradle the warmth like the way he tries to balance my head in his arms the night I am too much with the world & collapse on the bathroom floor—bursting the blood vessels beneath my eyes, howling at vaulted ceilings, calling out toward constellations with names I cannot remember. He coaxes me with imagined crowns made of gold & places the braided rings around my head, turning the worry in my mind to a seafoam green that splashes softer against my skull. My tears turned him into a bobbing auburn blob against the fading sky, shingled with cirrus. Soon, night would close in, primal, loud and dark. Amid the croaking and chirping, Sullivan’s interloper rider would lie in her tent, sore between the legs with that good horse pain. My pain. My horse. And only money kept us apart; how I craved and hated it. Wide-eyed in my bunk, I pondered how lack of money ruined everything, even my love for Sullivan and my parents’ love for each other. Overall, the editors seem to be open to experimental and contemporary writing on a broad variety of topics. Their guidelines state they are “looking for great poetry” and fiction that displays “commonalities in the human spirit which derive from an American ideal.” I believe this issue was successful in its representation of both those things. If I had any criticism, I’d say I’d love to see more artwork included in their issues. 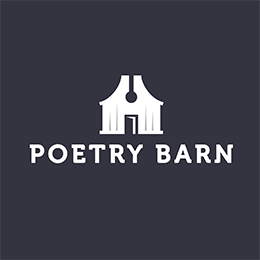 The Boiler accepts submissions electronically through Submittable, and requests three to five poems as well as creative non-fiction, short fiction stories, and excerpts of up to 3,500 words. They note a reasonable turn-around time of less than eight weeks, which can be verified in their Duotrope listing, with an average response time of 40 days. Their acceptance rate is competitive at about 5%, so make sure to send your best work.